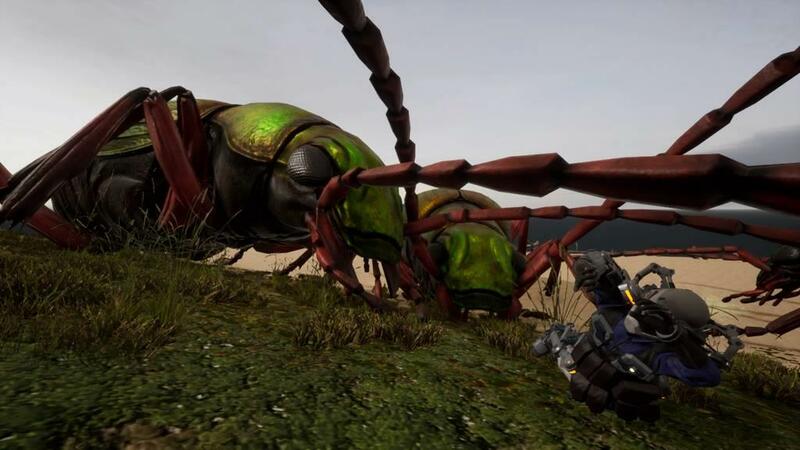 Several years ago I reviewed Earth Defense Force: Insect Armageddon for the Xbox 360 and aside from being a tad creeped out by giant bugs running around, I enjoyed it. Just over seven and a half years and a few more installments later and I got the opportunity to return to the series. I mean I had so much fun blasting those freaky critters the first time around, why not do it some more. Well that’s pretty much what I signed up for when I jumped into the fray with the EDF in Earth Defense Force: Iron Rain for the PlayStation 4. 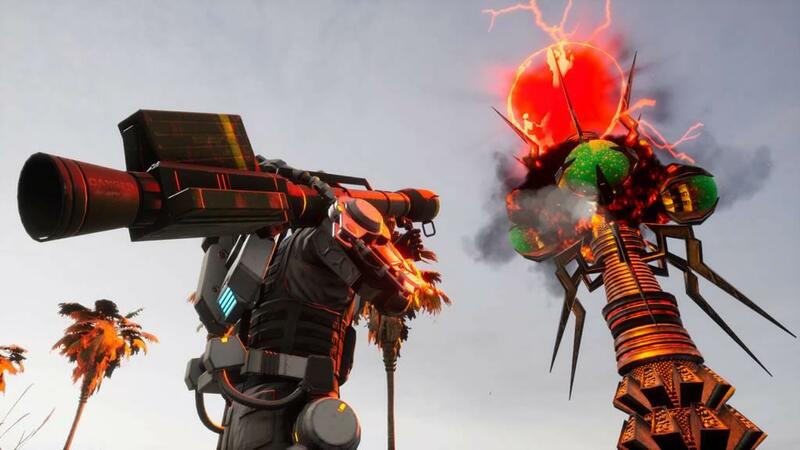 The game begins in the year 2033 as the EDF prepares to use a new technology called the PA-Gear to take on the “Aggressor” and their mothership called “Hivecraft”. 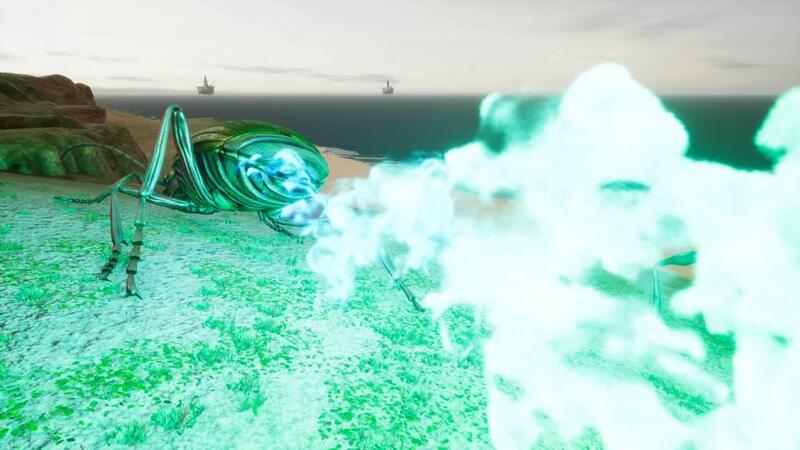 After defeating the the giant insects on the ground, the Hivecraft fires off a weapon that devastates the EDF’s ground forces leaving few survivors. One manages to regain his composure and, using the Overdrive system of the new PA-Gear, manages to take down the Hivecraft, but at a cost as its destruction left you in a coma for seven years. Now the insects that remained after the destruction of the Hivecraft have began to repopulate and multiply and a new battle has begun. 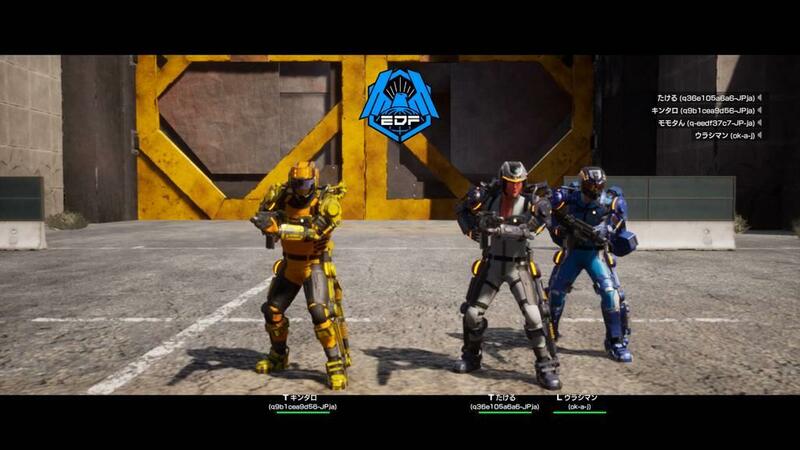 For the first time in the Earth Defense Force series, your character is more than just a generic EDF soldier, but is now completely customizable. You can choose your soldier’s face and hair type, skin color, hair color, eyes, helmet, uniform, and more. Once that’s done you can begin the missions proper. Prior to each mission you can further customize your weapons and items. You can carry a primary and secondary weapon such as machine guns, shotguns, rocket launchers, and so on. You can also carry several other items such as grenades, healing items, recovery items, and more. The secondary items are unique in that they each have a capacity to them and you can’t go over your max, plus there’s a cost for each one you use (and each item has a set limit you can use per mission). The cost to use an item is deducted from the final amount of money collected at the end of each mission. You can unlock and obtain more items and weapons as the game progresses. During the course of the game you’ll unlock other types of PA-Gear to use which each have their own pros and cons, such as the Jet Lifter which has great mobility, but less capacity and defense. These can be further upgraded cosmetically and you can also spend money to upgrade your HP which, if you’re like me and aren’t too great at constantly dodging giant insects, you’ll want to do now and then. After each mission you’ll see a list of items and such that you’ve obtained, most of them being cosmetic such as helmets and uniforms, but you’ll also unlock the occasional weapon or item. For the latter you’ll then have to purchase it to use it. Usually this costs gold but sometimes they’ll cost gems obtained from defeating the enemies you find in each mission. Now that you have your weapons and items ready it’s time to head out to the missions proper, and this is where I have some frustrations, both personal and non-personal. 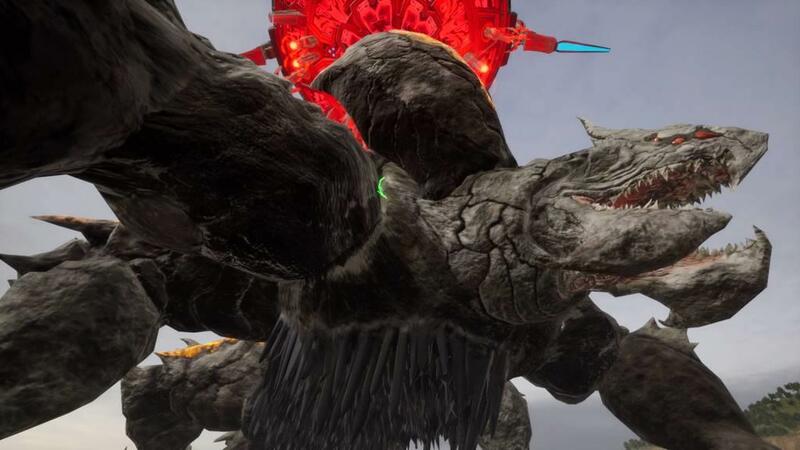 Each mission has you contending with enemies of some kind, usually the giant insects though occasionally something else such as quadrupeded robots (quadrupeded sounded better than “four-legged”). Your goal is usually to simply eliminate everything in sight but the numbers game can quickly take over and you’ll soon be surrounded by giant bugs (it helps a bit that you’re not the only soldier on the battlefield). Thankfully the PA-Gear has a couple of spiffy functions to help you out of a tight jam. Each PA-Gear has an Energy Move which uses one bar of your energy meter when used (energy will recharge after a few moments of inactivity with it). 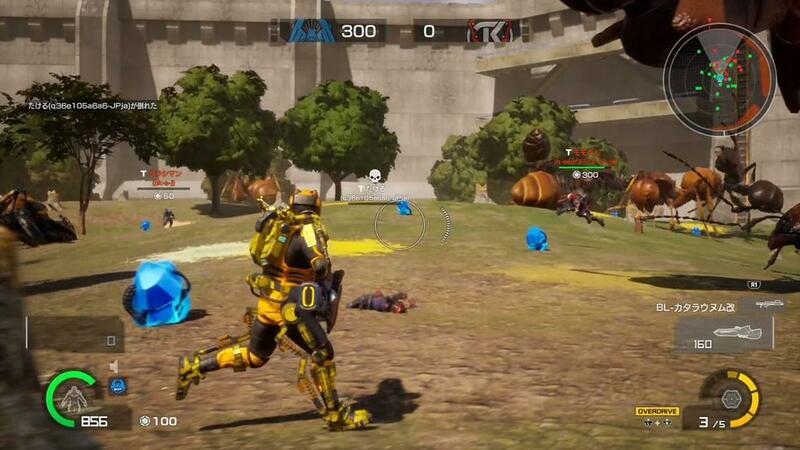 The default PA-Gear is a dodge maneuver that you can use in the air or on the ground. This is something you have to master if you want to have any chance of survival. The second function is called Overdrive and…well, it basically turns you into a rampaging insect killing machine for a short time. During this time you’ll move a little quicker, fire faster, and reload faster. Sadly though you can basically only use Overdrive once per mission unless you have an item that lets you use it a second time. So as awesome as this all sounds, where exactly do my issues lie? The first one is in the controls. I typically don’t talk about controls much in my reviews but there’s one here that is the bane of a lot of missions for me. When you’re moving forward you can click L3 to run. That’s fine, but clicking L3 any other time will make you turn around 180 degrees on the spot. This includes moving backwards. I’ve had so many instances where I need to change direction on the fly when trying to avoid enemy fire (yeah, “enemy fire” from insects…go figure), and when doing so I barely press in the left control stick, do a complete 180, and disorient myself. This really wouldn’t be much of an issue if it only turned you around when you were standing still or if the left stick wasn’t that sensitive (I swear it doesn’t take much of a press to turn around). Another issue I have is more of a personal gripe. In some missions where there are buildings around you and space is more limited as opposed to being out in a wide open desert, the battlefield can get littered with dead bugs rather quickly and those dead bugs like to obscure the camera from time to time. As annoying as accidentally turning around can be, having giant dead bugs block your camera view is about as bad, if not worse. I’ve also had instances where when those bugs block my camera view and then I keep running into other dead bugs because I can’t see where I’m going. Then you have times where there are multiple bugs on the screen and they surround you rather quickly and keep knocking you down. You can hit a button to get up quickly, but often times you can get knocked back down again just as fast as you got up and before you know it, you’re almost out of HP and spamming any healing items you have on hand. That’s not to say there’s not any good about the game. I haven’t touched Insect Armageddon in quite some time but I do recall that I did enjoy it for being my first outing in the EDF series, and the same can go for Iron Rain. The game looks and sounds great and it controls pretty well for the most part. 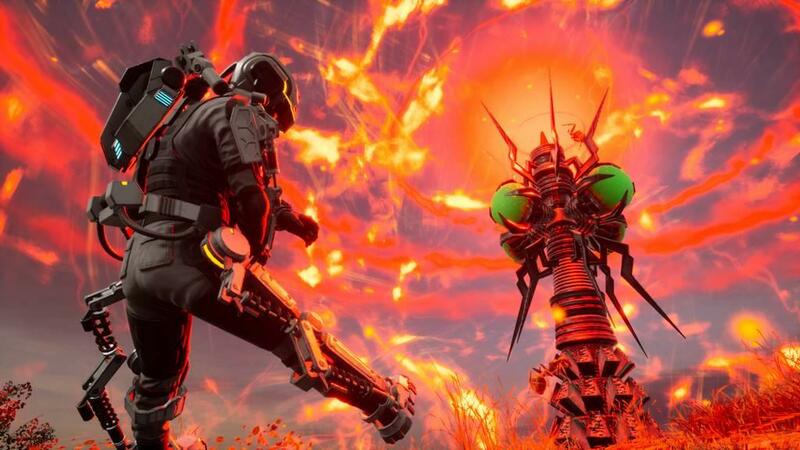 The first few missions can give a false sense of difficulty so to speak as all you’re really doing it taking down a few swarms of insects and that’s it; at most they take several minutes. That’s good though as you can plow through a few missions in a short amount of time, plus you can go back and do previous missions in order to improve your time or grind up some gold and gems. If you’re like me and you were lulled into a false sense of difficulty and start to find later missions a tad too difficult, you can change the difficulty prior to starting a mission. 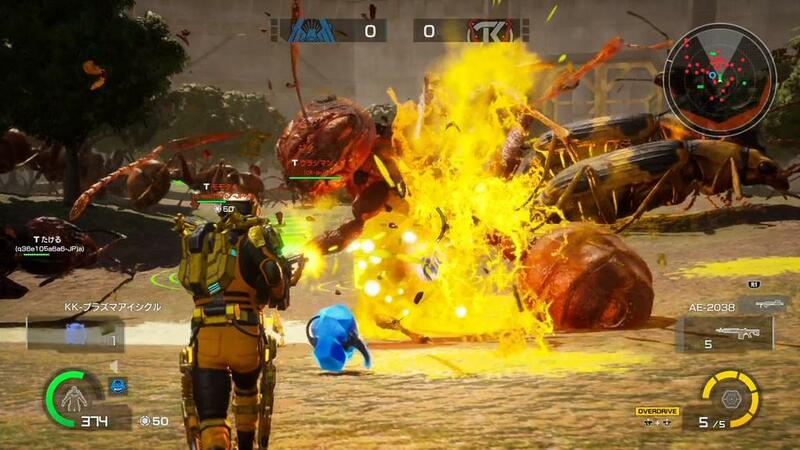 If you’re looking to play with a friend or random strangers online, then you’re in luck as Earth Defense Force: Iron Rain has a couple different ways to play multiplayer. Besides playing split screen with a friend to tackle the campaign together, you can also play the campaign online with a friend or battle in the game’s Mercenary mode where two teams of four must battle for gems while taking out Aggressors and getting in the way of the other team. Sadly I don’t have access to PlayStation Plus so if any of my colleagues happen to pick up the game and end up checking out Mercenary mode, hopefully they can provide a sort of mini-review to see how it went. 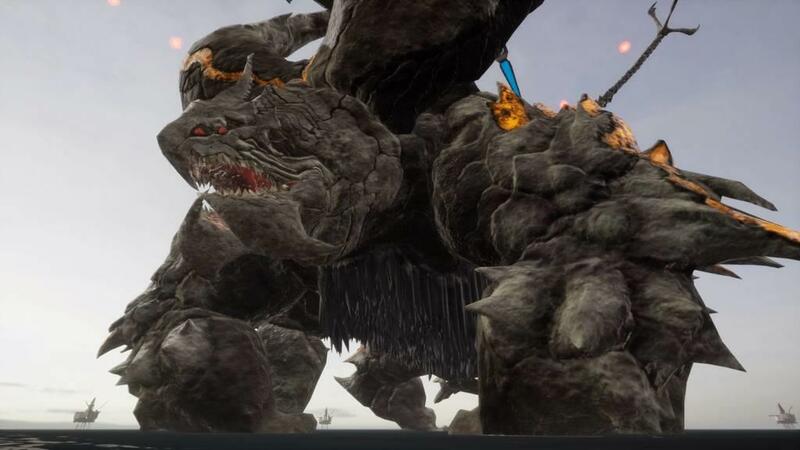 Overall though, Earth Defense Force: Iron Rain is an enjoyable game and was about on par for me with Insect Armageddon. 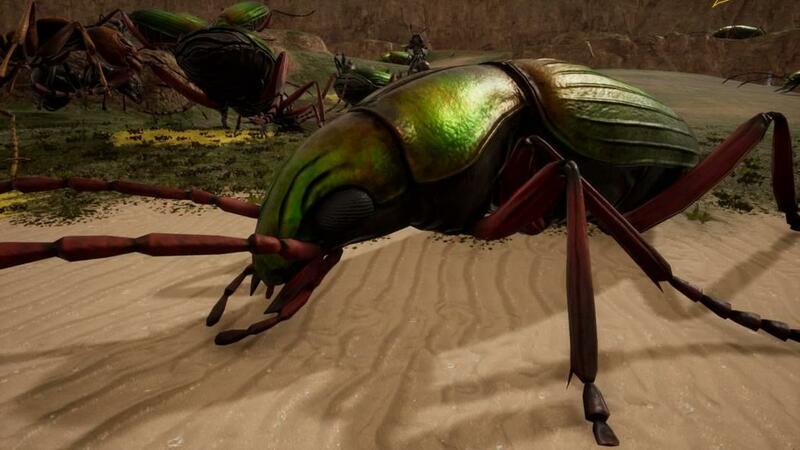 While I did have a couple points of frustration that wasn’t present in Insect Armageddon (or I just didn’t really notice it as much there and didn’t point it out for some reason), blasting away at giant insects doesn’t really get old very fast. 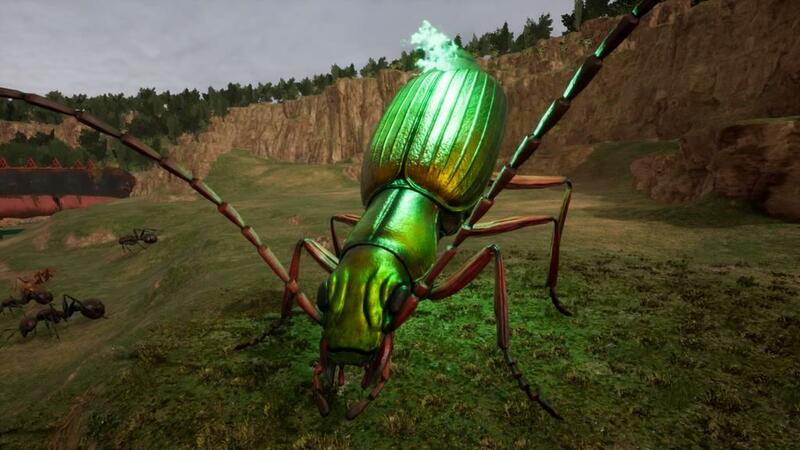 SEEING the giant insects does, mowing them down with bullets and rockets doesn’t. Plus if you’re having difficulty with some of the later missions, just replay some of the earlier ones to grind a bit for money and gems to unlock new weapons and upgrade your health a bit. 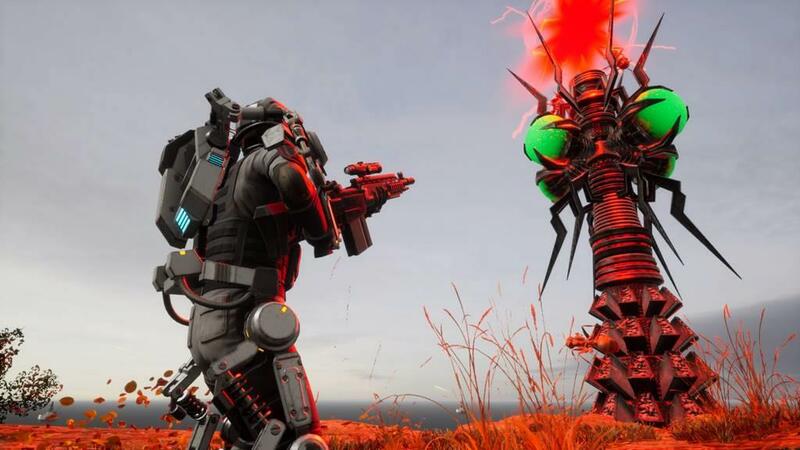 Whether you’re a fan of EDF or just want to take out your bug problems with rockets and gun fire, Earth Defense Force: Iron Rain is a solid entry in the series.